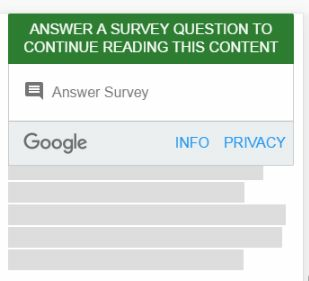 We are trialling Google Consumer Surveys on Halifax Evening Courier. We are always looking at different ways to help fund our commitment to quality local news. These surveys generate revenue for us, which in turn helps fund our local editorial team and keep our online content free of charge.